Need a little inspiration to plan your summer escape? From lively Rio to laid-back Telluride, check out our picks for this summer’s hottest spots. Aspen's chilled-out neighbor, Telluride has the perfect recipe for a summer getaway: laid-back culture, outdoor adventures and plenty of summer festivals including its legendary Telluride Bluegrass Festival. 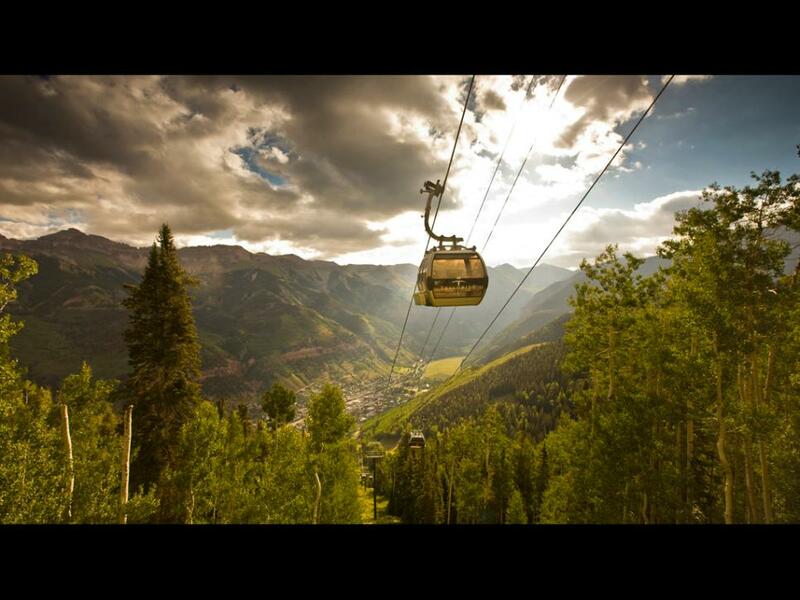 The best way to take in the sweeping views: a 3-mile gondola ride. Summer on Washington's San Juan Islands is idyllic with dry clear days and wildlife- watching galore, including orca whales, which gather near the islands every summer. If you’re the type who needs to be in on the action, then head to London (along with everyone else in the world) for a less-than-quiet summer getaway at the Summer Olympics. Even if you can’t score tickets, you can still soak up the excitement with live broadcasts of Olympic events in locations such as Trafalgar Square and Hyde Park. Escape to the unspoiled and quiet beaches of Sanibel Island, only 15 miles west of Fort Myers -- but a world away from the rest of Florida's crowded and chaotic coastline. Vieques, Puerto Rico’s “secret island,” has neither the high-rise resorts or even the traffic lights of a place like San Juan. So you’ll have the beach to yourself in this national wildlife refuge. And check out the Bioluminescent Bay at night to see glowing microorganisms light up the ocean. Swedes are known for traveling to warmer climates during their cold winters, but in the summer many stay put to enjoy the temperate weather and extra hours of sunlight (the sky doesn't darken until 10 p.m.). Cafés and most attractions stay open to take advantage of the late-night sun. Some of the best scuba diving in the Caribbean can be found in Honduras’s Bay Islands, off the world’s second-largest barrier reef. Roatan is the largest of the islands, with butterfly and iguana farms, canopy tours, small villages and idyllic beaches to entice both divers and non-divers alike. Don’t forget about America’s smallest state, Rhode Island! While the rest of the US battles record-heat days in summer, Rhode Island stays cool with New England breezes. Head to Newport to sample the legendary seafood -- lobster, lobster and more lobster. Montreal is full of European charm, but a lot closer and more affordable than Paris. And summer is the best time to go to enjoy the balmy weather, foodie culture and outdoor cafes. Leave the car in the garage this summer and board the Coast Starlight, which links the greatest cities on the West Coast -- LA, San Francisco, Portland and Seattle. You’ll ride through spectacular scenery in style, with sleeping cars, fresh cuisine (served on real china and table linens) and a daily tasting of local wines. Gearing up the for the 2014 Soccer World Cup and 2016 Summer Olympics, Rio de Janeriro keeps moving up the hotlist of South American tourism. Shedding its reputation as a dangerous city, Rio is claiming more of the spotlight with its stunning beaches and lively culture. Last summer was Yellowstone. This summer head to Glacier National Park, along Montana’s northern border, for a nature lover’s paradise: dramatic mountains, sapphire lakes and rivers, and unforgettable hiking trails.